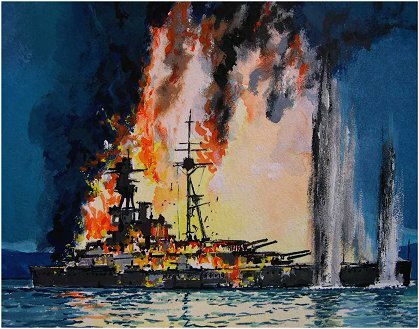 G�nther Prien's U47 crept into the "protected" harbour at Scapa Flow and successfully torpedoed and sank the unsuspecting 29,150-ton HMS Royal Oak with a loss of 833 lives in the early hours of the morning on 14th October 1939. Following this attack U47 was adorned with what has become one of the most well-known U-boat conning tower insignias - the snorting bull, also known as "The Bull of Scapa Flow". 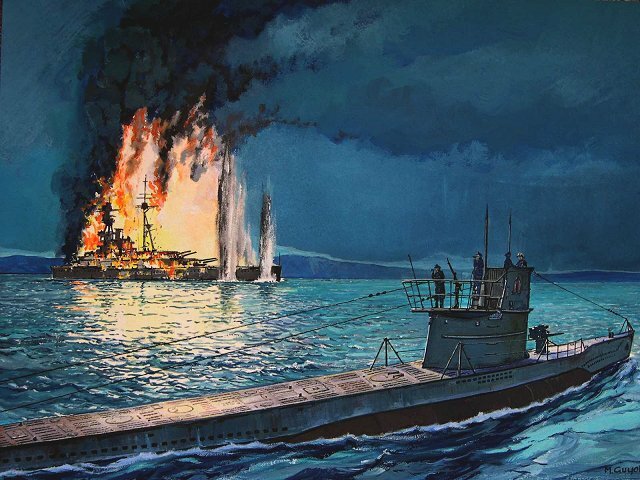 G�nther Prien went on to become one of Germany's most successful submariners and was theffirst U-boat commander to be awarded the Knight's Cross.